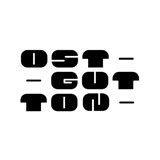 In order to provide Berghain- and Panorama Bar residents with an artistic and social home, Ostgut Ton has been launched as a label at the end of 2005. Immediately, the interaction of club and label has proven to be a very fruitful combination. 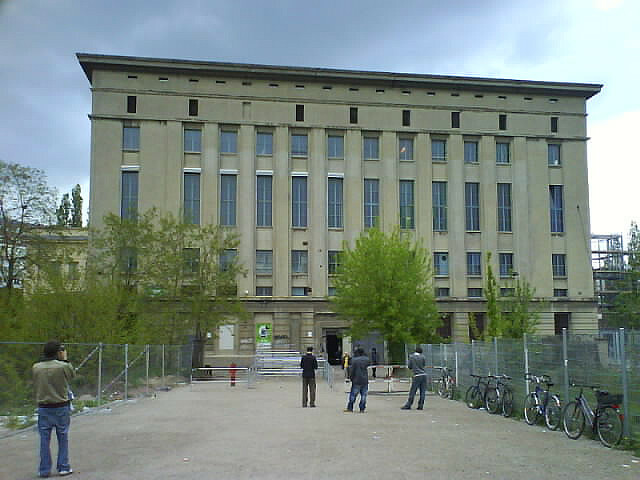 The unique sound architecture of Berghain especially, has directly left a mark on productions by Ben Klock, Marcel Fengler, Len Faki and Marcel Dettmann. The club serves as a permant linchpin for everyone involved. Here, all new tracks and records get their first test, the club is the reference. Over the last few years, this constellation brought forward a signature sound, which fortunately didn’t pick up on any recent trends dominating dance music. This sound can best be paradoxically described as an utterly unnostalgic take on Techno, which has been produced with the experience of Techno’s heyday during the 90s still in mind. Although the tempo has been slowed down, it still oozes with vitality. Of course this doesn’t mean that every Ostgut Ton sounds the same. On the contrary; It should just be clear that Len Faki’s „Rainbow Delta/Mekong Delta“ EP is the other, ravier side to Marcel Dettmann’s and Ben Klock’s coin. „Rainbow Delta“ has been voted ‚best track“ by the readers of german Groove magazine in 2007. As if this wasn’t enough, Len Faki also made best producer and best newcomer in the same poll. Berghain's Marcel Fengler presents the fifth installment in the club's expanding mix series. A central resident at the club since its early days, Fengler continually and consistently fires up the Berghain floor with his vast and exemplary collection of Techno, House and Electronica. Opening with the eerie echoes of Emika's "Count Backwards" - treated by Marcel Dettmann - we quickly discover the first exclusive gem of the mix as Peter Van Hoesen's incredible "Axis Mundi" sets the tone from here on in: full, lively and not short on drama. Pushing into darker zones, Regis' typically haunting mix of Tommy Four Seven's "G", or Luke Slater's L.B Dub Corp mix of Fengler's own "Thwack" segue with more classic cuts from Secret Cinema's "Timeless Altitude (Minneapolis Mix)" and Ratio?s "Doublefeature". Fengler keeps the surprise element alive while maintaining tension and pressure throughout. Gerd's tripping "Time and Space (Duplex Southside Mix)" mixes wonderfully with UK bass veteran Seiji's "More of You" in a glorious mid point throw-down. The mighty Claude Young teams up with production partner Takasi Nakajima on "Think Twice", which then swells to pick up the tension in a beautiful piano-led hypnotising moment. With the focus on more current developments in more edgy Techno and House, combined with a hearty nod to the past, the mix continues with newcomers like Puresque showing promise, alongside a weighty new Ben Sims track, and the pounding filtered glory of Vril's "UV" - another exclusive for the mix. Marcel includes a new track that heads straight for the floor with "Sphinx", while men of the moment Skudge put forward "Man On Wire". The slow burning house of Reagenz? "The Labyrinth" leads us into a psychedelic game of funk, dub and abstraction as the mix winds down. Before drawing to a close with Convextion aka E.R.P's stunning "Vapor Pressure", we're treated to a UK house classic by 20:20 Vision's "Future Remembrance (Livestyle Mix)", in all its analog glory. 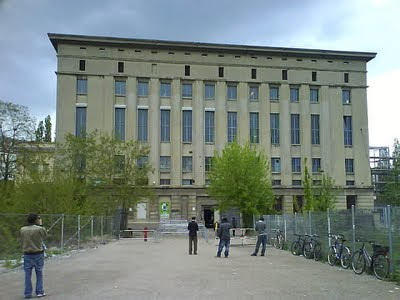 In Berghain 05, Marcel Fengler has proved filling floors doesn't have to be about ticking boxes. This mix is a perfect example of the type of dexterity, sensitivity and scope he possesses as a DJ.